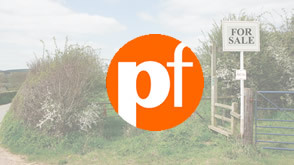 If you're looking for land for sale in Dorset or even a renovation or conversion opportunity then Plotfinder.net can help you. Plotfinder.net holds a database of building plots in England, Scotland, Wales and Northern Ireland. Above you'll find links to the very latest properties for sale in the Dorset area. You may also be interested in looking for land for sale in the counties surrounding Dorset such as; Devon, Somerset, Wiltshire or Hampshire. Use the search box above to refine or change your search criteria. Property listed includes; building plots, renovation and conversion opportunities, lots sold by auction and property for sale by private sellers. A Contemporary Home on a Waterside Plot: A leaky old house made way for Dawn and John Cousins’ striking self-build — designed to make the most of its waterside plot and Poole Harbour views.